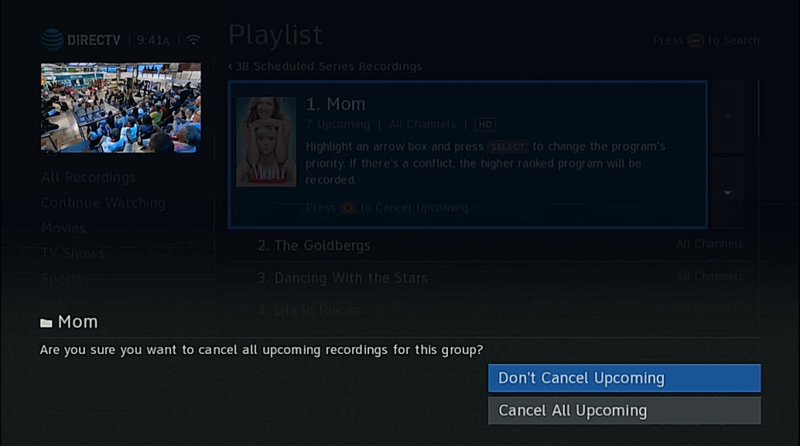 Is your DIRECTV DVR series manager something you think about? It should be. If you ignore your DIRECTV series manager, it could become filled with recordings you don’t need any more. This will prevent you from recording the shows you want to watch. You need to free up the vital space in your series manager so that you can schedule and record all the newest shows for upcoming television seasons. How do you do this? By cleaning out your DIRECTV series manager. As your DIRECTV Authorized Dealer, Signal Connect has easy instructions for doing this. Did you know that your DIRECTV DVR is set to record up to 100 series? It’s been that way since 2011 during the days of the HR34. (Before that, the number was set at 50 series.) While 100 sounds like a lot, space in your DVR series manager can quickly be filled, especially in homes with many family members with differing tastes in programming. If you’re not paying attention, you and your family will use up all of those 100 spaces. 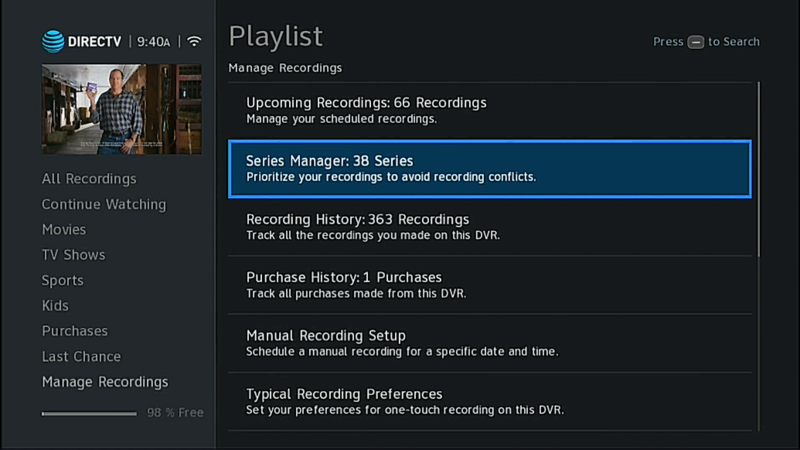 This means no more new recordings until you clear some space on your DIRECTV series manager. Getting the best performance from your DIRECTV DVR is another reason to clean the series manager. When your DVR is trying to find all the cancelled shows you ordered it to record, it slows down the entire system. 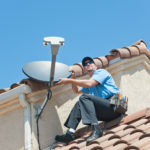 Keeping the DIRECTV series manager clean should help keep things operating at full speed. When shows get canceled, all that’s left are the reruns. If you don’t clean up this order to record these programs, your DVR will fill up with these episodes you’ve already seen. Since no new episodes will be made, and you’ve already seen all the existing shows in the series, there’s no reason to keep it. Take the time to clean our your series manager to free up space for other recordings. Are you ready to free up some space in your DIRECTV DVR? Here’s an easy, step-by-step to help you delete series links. That way, you can fill it up with newly-recorded series, shows, and movies. The difference is, these new recordings will be of programming that you actually can watch. Enjoy! You’ll see the above screen above. Arrow over to “Series Manager,” then press SELECT. Here you’ll find a list of the series you have set up to record. Press the (R) button (not the red button) to delete a series link. At this point, you should receive an “Are you sure” prompt. You must move the arrow down, then press SELECT to cancel all the upcoming episodes. Repeat this process as many times as necessary to free up space in your DIRECTV DVR. As you can see, this is very easy to do. Just arrow up and down to each series and delete the ones that you’re not watching anymore and/or those that have been cancelled. You can do this a couple times a year just before the beginning of the summer and fall TV seasons. We recommend you regularly take the time to do this more than a few times each year. This keeps unused and unwanted scheduled recordings from building up in your DVR. Don’t let this happen to your series manager on DIRECTV. This entry was posted in AT&T/DIRECTV and tagged Channel Lineup, directv, DVR. Bookmark the permalink.